This exhibition marks the inception of Anti-Space, we couldn't be more stoked to present Darel Carey's optical tape installations and murals focusing on visual and spatial perception to kick it off. Join us for Milk and Eggs Fresh & Fit event on Sunday, August 26th, 2018! A FREE fitness and health event designed to inspire, educate and motivate! 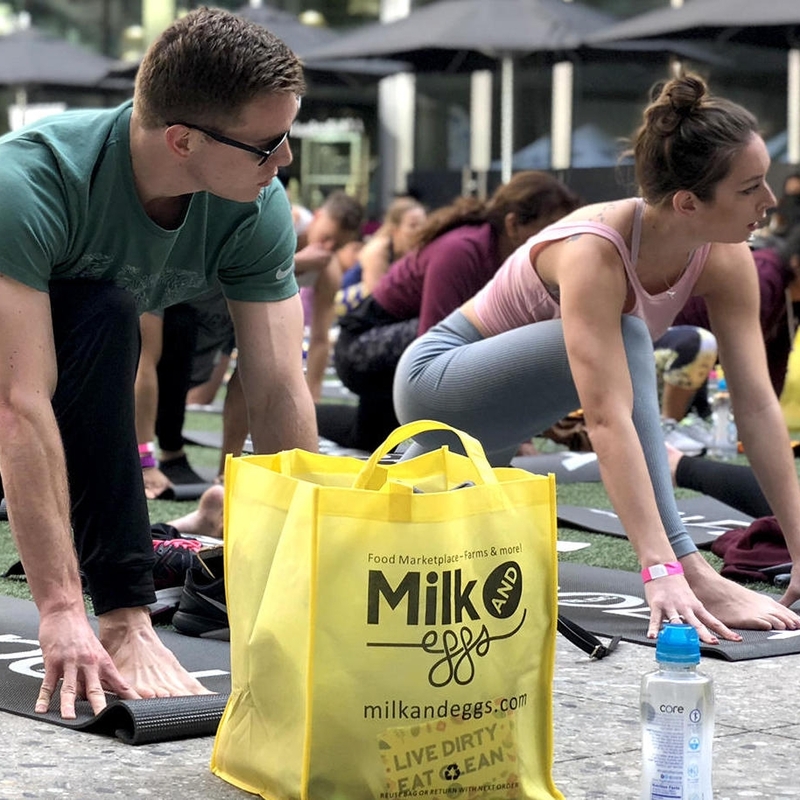 Come break a sweat to a full day of fitness classes and pop-ups that will feature food + beverage product sampling, training accessories, exercise equipment, and the latest fitness trends from local businesses whose goal is to help Angelenos achieve new ways to get FRESH & FIT. 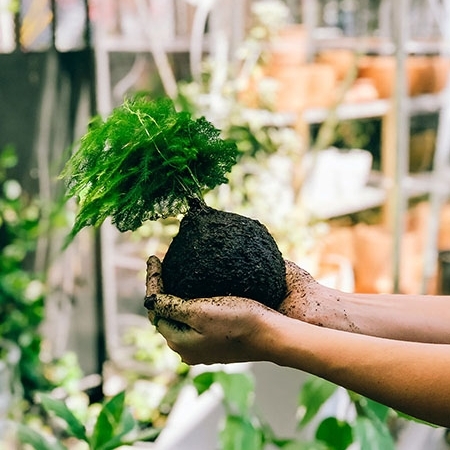 KOKEDAMA LA x WYLDBNCH PLANTS are hosting a fun workshop at TCY on Saturday, August 18 from 5-7PM. Come learn the basics of this centuries old art form of Japanese garden art that is tied into the practice of bonsai. 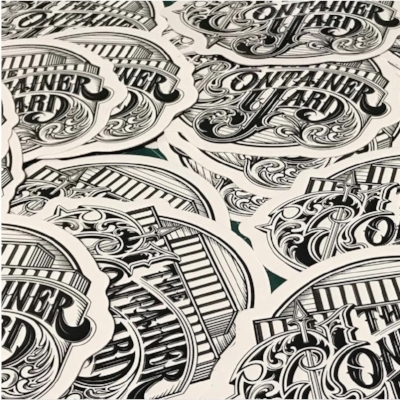 TCY will consist of: Montana Colors North American Flagship, Service & Supply (barbershop), and Wyld Bunch plants, as well as coffee and a rotation of LA's best food trucks. Limited edition prints by Axis, Carly Ealey, Drew Merritt, It's A Living, and Vyal. TCY has only been a part of the Arts District story since 2013, but the history of our space and the neighborhood goes back much further. The Container Yard site was actually the first mass production manufacturing plant for Japanese ice cream mochi company, Mikawaya. This property is actual made up of 4 smaller lots which were pieced together over time by the late Francis Hashimoto and her husband, both whom have left a legacy of fearlessness and creativity which just seemed to be a part of the DNA of the space. From that point onward, we simply followed our instincts and attempted to create what we felt was our own haven for creativity. Pursuing our own love for art and creative building, we simply started to hack, cut, paint and weld our way to where we are today. All we can say is that having this space has been an absolute opportunity and blessing and we're grateful for collaborations which are willing to support our creative experiments and also extremely grateful to all of the artists who have supported us with their art over the years.